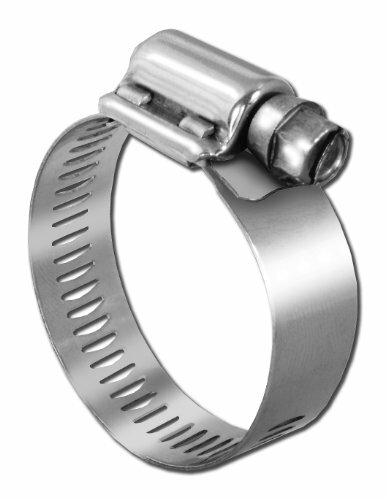 Pro Tie very heavy duty worm drive hose clamps are precision made from stainless steel to provide dependable and long lasting use. The 5/8-Inch wide band provides a very large clamping surface for high pressure applications, tough leakage applications, or high vibration areas. Works with a variety of hose materials but especially suited for larger engines including farm trucks, off-road vehicles, and heavy industrial equipment. The slotted hex head bolt allows for multiple tools to tighten the clamp. All stainless steel construction provides superior corrosion resistance. Pro Tie hose clamps will work on a variety of applications from home use, auto repair, marine, plumbing, farm, ranch, and industrial.